Reliable wireless performance loaded with top-notch technology. One of the key features of the VHF-01 system is its superior quality (single channel) VHF receiver with a 100-feet operating range. 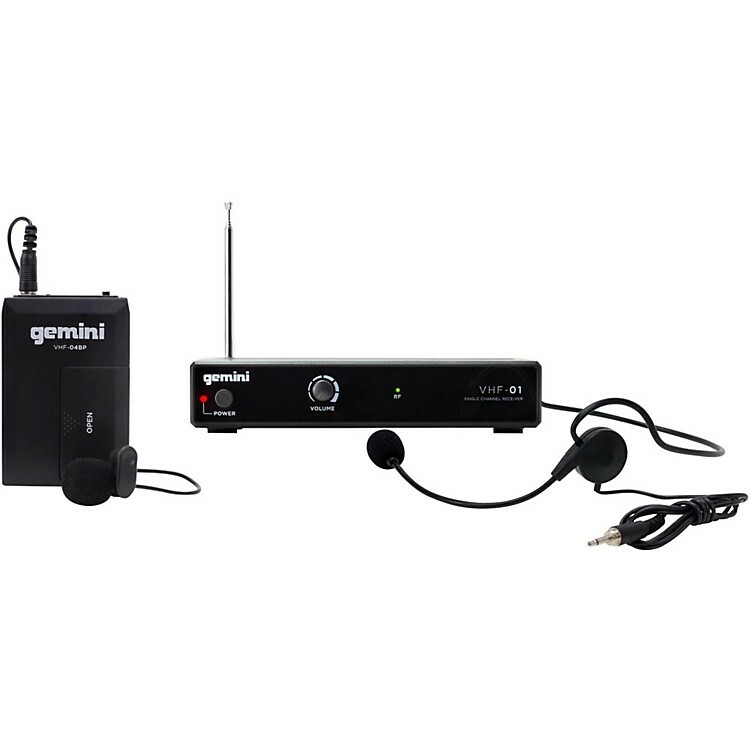 This microphone system stabilizes within the frequency range 170-260 MHz. The output level is optimized with the single channel volume rotary control mechanism to provide an unbeatable experience each time you make use of this dynamic single-channel wireless system. Monitoring the signal strength of the sound is not an issue because of the straightforward super bright RF LED indicators that indicate the signal strength for your convenience. In addition, the standard 1/4 in. unbalanced output jack makes it even easier to use the VHF-01 system wherever you go whenever you need.